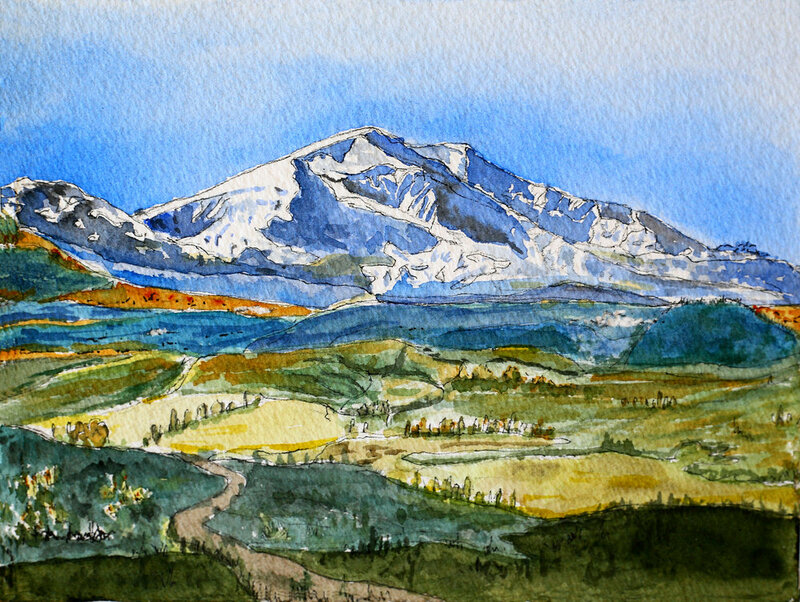 October 11th participants will be instructed in painting a watercolor landscape in line and wash.
September 13th participants will be instructed in painting a watercolor of an Aspen leaf landscape. Each workshop is an independent class with a unique subject matter students will explore. Class is open to beginners to expert as the teacher will tailor instruction for all levels. Thursday, August 23rd participants will be instructed in painting a watercolor of a trout. Each workshop is an independent class with a unique subject matter students will explore. Students can take just one or all!